A TOTAL break in the once solid partnership between Manny Pacquiao and Top Rank was revealed on Monday when the Filipino boxing great's camp announced the filing of a court case against his longtime promoter over unpaid television fees. 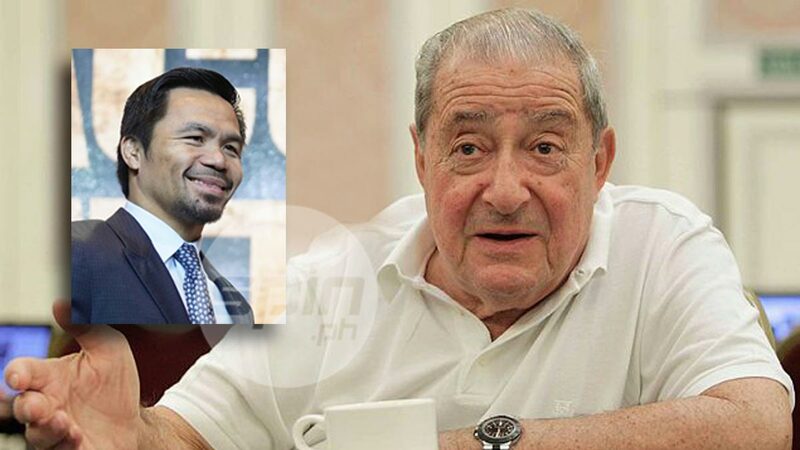 Pacquiao's camp said it is suing Arum and his promotional outfit over the alleged failure to remit his share in the broadcast rights for his title fight against Lucas Matthysse in Kuala Lumpur, Malaysia last July. The legal team of the 39-year-old senator is now compiling all documents needed for the court fight, almost two months after Pacquiao stopped Matthysse in the seventh round to win the World Boxing Organization (WBO) welterweight crown. Pacquiao claimed he has yet to receive any share from the broadcast earnings of the fight which was carried by ESPN Plus and live-streamed in the United States, Canada, and Puerto Rico. Under the contract signed by Top Rank and Pacquiao, who heads MP Promotions, the boxing superstar is entitled to an 85 percent share of the broadcast earnings, while the 15 percent will go to the popular promotional outfit, the boxer's camp claimed. Pacquiao's lawyers already sent a formal letter to Top Rank, but the promotional outfit has not replied on the matter until now, they claimed.